This might upset loyal Honda Unicorn users ( the past generation Unicorn users) that their model CB Unicorn 150 cc would no longer be available in Indian market. Honda India today has made an official announcement that it would be discontinuing its very popular CB Unicorn 150cc in the Indian 2 wheeler market. Worry not – There is a successor always – Honda has strategically made this announcement after Honda Unicorn 160cc is well set and launched in India. So the all New Honda CB Unicorn 160 cc would be replacing the old Unicorn CB 150cc. So far Honda Unicorn 160 cc has received pretty positive response from Indian market. You could even observe the heavy promotions done through electronic media ( Honda Unicorn Looks Good Is Good campaign) and TV commercial on Honda CB Unicorn 160. Preparing for this change – Honda dealerships across the country had stopped taking bookings for the Honda Unicorn 150cc last month. The Japanese giant’s Indian factory would continue to produce Unicorn 150cc units for export markets only. It is almost one decade that this bike is in existence – there were few different variant launches like CB Dazzler and CB Trigger in the past. 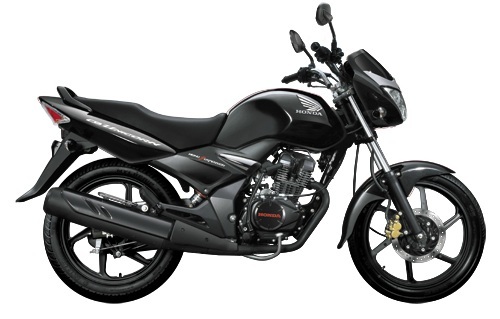 Honda Unicorn 150 cc has shown pretty strong sales through out its lifecycle. We will have to wait and watch how Honda CB Unicorn 160cc is going to influence Indian audience in coming days. There are few welcome changes in Unicorn 160 – Fully Digital instrument cluster, CBS ( Combi-braking system) – an advanced braking system by Honda, The engine’s new capacity – 163.2cc which yields a greater power and torque coupled with 5-speed gearbox and HET ( Honda Eco-Technology) for improved fuel efficiency. There are few head on head competitors for Honda Unicorn 160cc like Suzuki Gixxer 155cc. Read about Why you should choose Honda Unicorn 160 over Gixxer also do read the review of Unicorn 160. Finally bidding a Goodbye for Honda Unicorn 150cc! Do comment below to share your opinions!